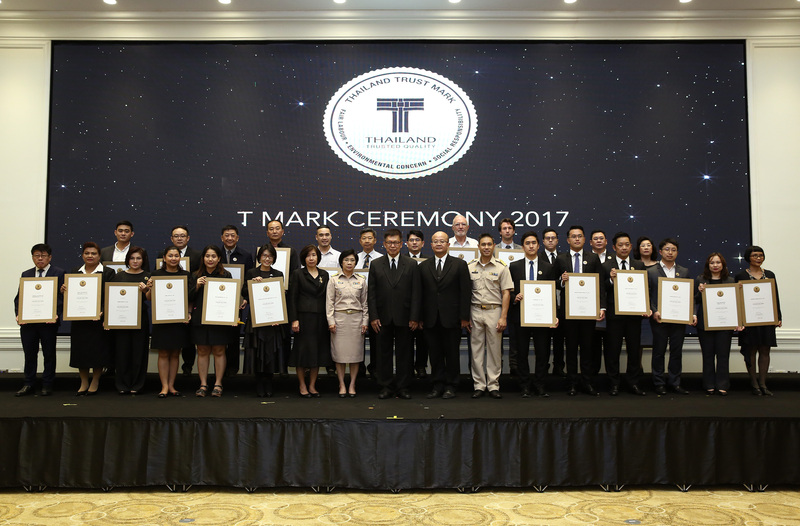 The Department of International Trade Promotion (DITP), Ministry of Commerce, organized an awards ceremony to certify 67 Thai companies that have received Thailand Trust Mark (T Mark) as a certification of international standards at the Ministry of Commerce on September 18, 2017. Mr. Winichai Chamchaeng, Vice Minister of the Ministry of Commerce presided over the ceremony which was held with the aim to certify that products and services from Thailand are of high quality and truly made with the heart. “The global market is highly competitive. Companies in every country have different marketing strategies to increase their strengths and selling points in order to capture the hearts of consumers. Consumers today are much more concerned about the quality of products and services as well as the company’s responsibility towards society and the environment,” said Mr. Winichai Chamchaeng. With these concerns in mind, the DITP established T Mark to communicate to consumers that T Mark products and services are trustworthy in every dimension from the highest standard of production, fair labor, giving consideration to environmental concerns and social responsibility. Companies with T Mark are required to renew their membership every three years, thus, they must keep up their standards as assessments are made every three years. This year, 67 companies have met the requirements to be certified with T Mark, with 20 companies from the food industry, 14 companies from the heavy industry, 12 companies from the lifestyle products industry, 2 companies from the fashion industry and 19 companies from other industries. Companies that have received the certification may put the T Mark symbol on their products and packaging to promote the image of the product to consumers both in Thailand and in other countries. T Mark members also receive privileges from the DITP such as opportunities for brand exposure in domestic and international media as well as support in business development, from joining the T Mark Festival, joining training sessions in the T Mark Training Series and joining the Road to Shanghai program that helps develop business strategies to enter the luxury market in China. 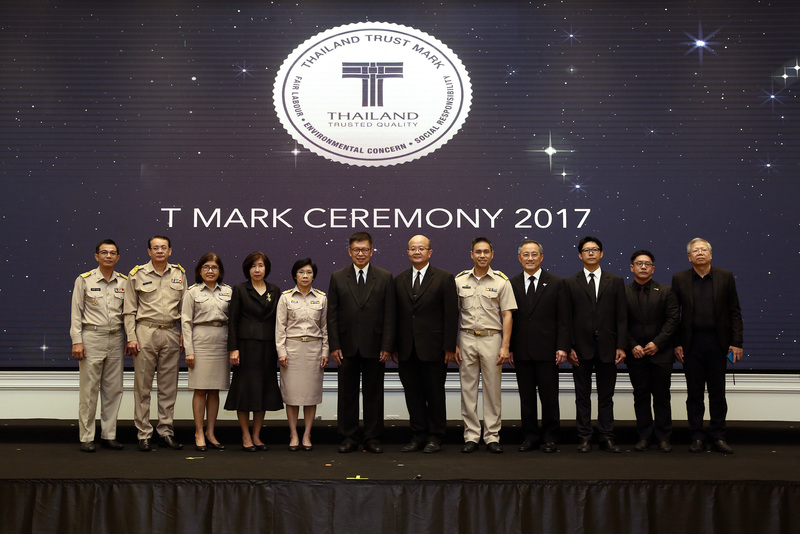 The DITP established T Mark in 2012 to strengthen and promote Thai products and services with trusted quality in every dimension from the highest standard of production, fair labor, giving consideration to environmental concerns and social responsibility with the most important factor as the “Heartmade Quality”. Currently, 763 Thai companies have received T Mark, divided into 2 main categories: products ranging from the food and agricultural products, industrial products, lifestyle products, fashion products and other products; and services from health and beauty services, international education services and medical services.